Want to enhance your lashes naturally? Want to free yourself of using a lash curler and wake up to lifted and dark lashes everyday? Well, the lash lift is the treatment for you! Perfect lashes with or without mascara! 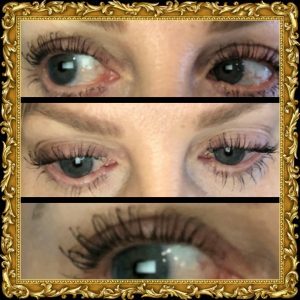 This treatment can last up to 3 months and will not damage your own lashes. 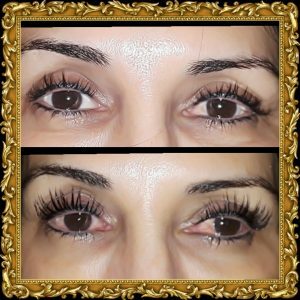 The treatment process takes about an hour and a half and includes the lift, a darkening of the lashes and a keratin conditioning. The only after care is to not wet them for 48hrs. Then you can just enjoy your beautiful lashes! 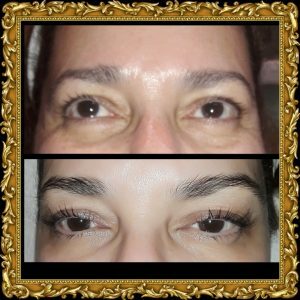 You don’t have to have the perfect lashes or the longest lashes for the lash lift to make a significant change to your eyes. Please go to my treatment pictures page for more pictures and you can see for yourself! This client’s before picture (top) was taken after her use of lash extensions, resulting in lash loss and over tweezed brows from her in a hurry. So, I gave her a lash and brow growth product to use for a month and then we lifted her lashes and darkened the brow. As you can see the change is significant. With time, the lashes will grow and fill in more so her enhancement will become more apparent . As far as her brows, we will wait alittle longer for them to grow and shape them with more definition, but not THIN! 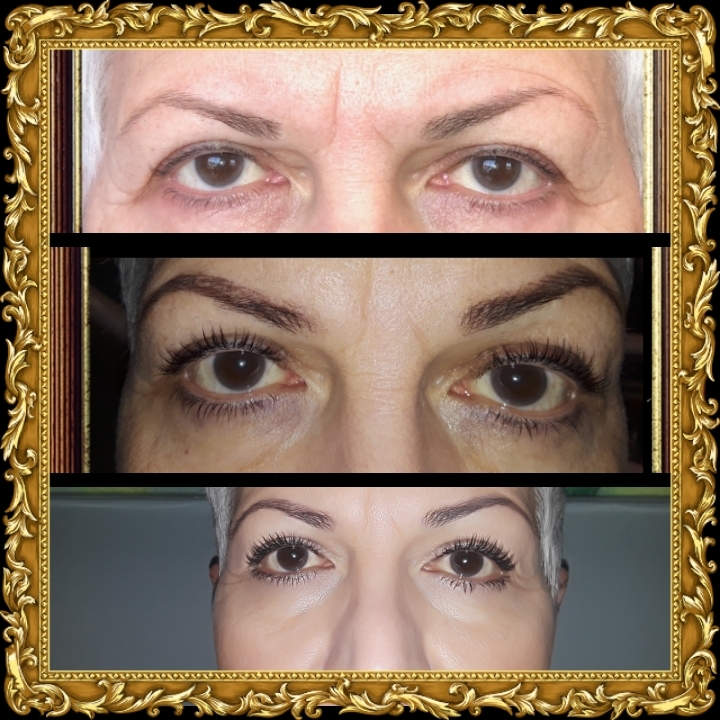 This is the same person as above but several months later!Her lashes continued to grow stronger and we refitted them! Oh, next is the brows! This client shows three stages of the lash lift process. The first picture was without the lash lift. 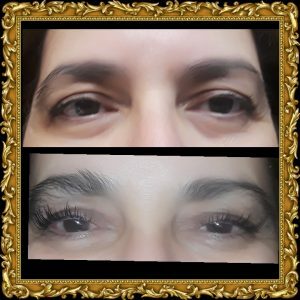 The second picture was with the lash lift and the final third picture was with make up. As you can see her lashes are not that much different from picture two, without mascara. This a before and after picture of the Lash Lift(top) and the next picture(bottom) is with mascara. 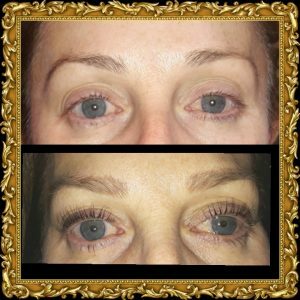 ISIN’T IT YOUR TURN FOR THE LASH LIFT?